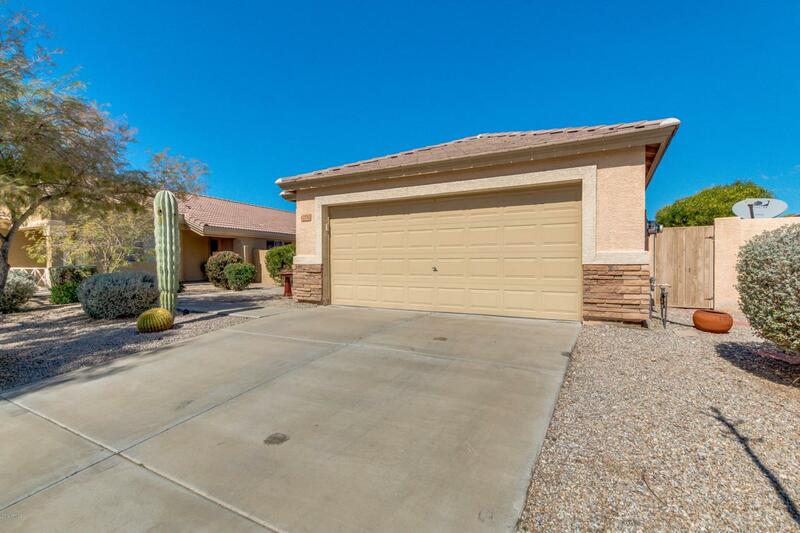 Beautiful one-level home with original owners in Estrella Mountain Ranch! 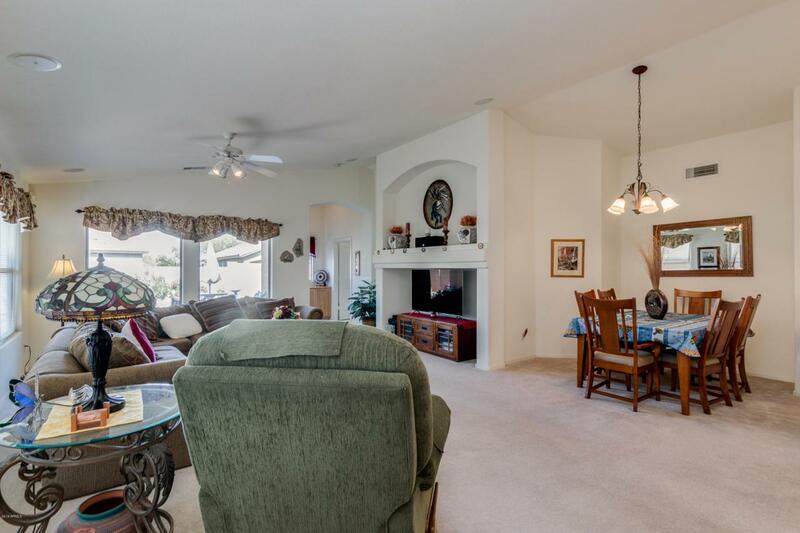 This lovely 3 bed, 2 bath located across from a community park, has a split master floorplan, vaulted ceilings, formal dining area and so much more. The eat-in kitchen offers ample cabinet space, breakfast bar, and all appliances are included. 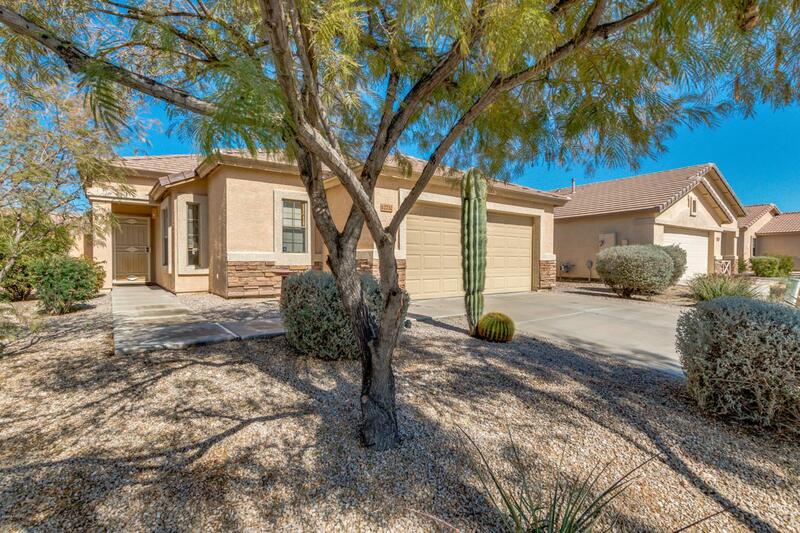 The gorgeous backyard is perfect for relaxing or entertaining and has a cover patio, seating areas, putting green, and lovely yet low maintenance land and desertscape. 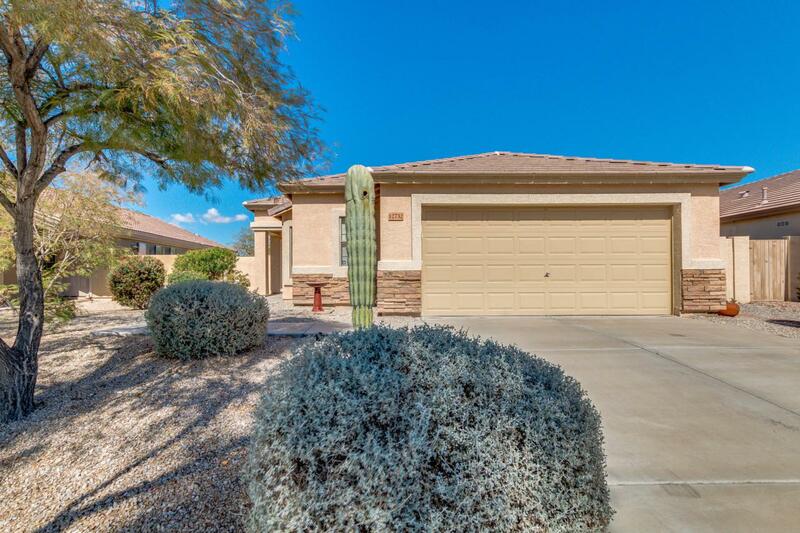 Situated in the master planned community of Estrella with all the community amenities including walking trails, pools, water park, lake, community center, workout facility, and so much more!